Immerse yourself in an impressionist-inspired day excursion, full of natural beauties, culinary adventure and artistic expression. Meet up your guide at your Paris hotel in the morning, and take a seat on board, in a comfortable air-conditioned minibus, to Étretat (around 2.5 hours).Then head off to the coastal town of Honfleur, mainly recognized to be among Normandy’s prettiest port towns. 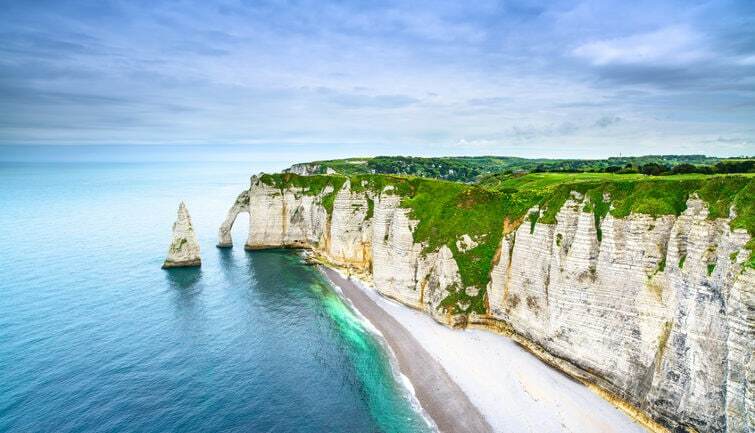 Begin your travel with the visit of Étretat and the Alabaster Coast (Côte d'Albâtre). Explore the famous cliffs of Étretat that inspired many artists, such as Coubert who produced over fifty paintings of the seascapes, cliffs, and waves. Monet also appreciated this area in all weather conditions, he returned there steadily. Beautiful scenery, an excellent tour guide who brought the area to life and one of the best meals of our trip at Le Bel Ami. Would absolutely recommend that anyone interested in seeing the Normandy coast in a daytrip from Paris, who is also interested in impressionist art, take this tour. The cliffs in Étretat are breathtaking, well worth the visit. Our guide was very knowledgeable and helpful throughout the tour - thank you, Sara!